London and San Francisco, July, 19, 2017 – Digital Shadows, the industry leader in digital risk management, today reveals the findings of an in-depth study carried out by its team of multilingual analysts assessing the changing habits and tactics of organized credit card fraud gangs. 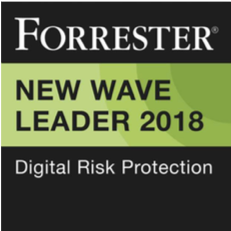 It points to increased sophistication of a professional ecosystem as fraudsters seek to up-skill themselves and novice would-be cyber criminals. By analyzing hundreds of criminal forums, Digital Shadows discovered a new trend in the form of remote learning ‘schools’. Available to Russian speakers only, these six-week courses comprise 20 lectures with five expert instructors. The course includes webinars, detailed notes and course material. In exchange for RUB 45,000 ($745) (plus $200 for course fees), aspiring cyber criminals have the potential to make $12k a month, based on a standard 40-hour working week. Given the average Russian monthly wage is less than $700 a month it means cybercriminals could make nearly 17x more than a ‘legitimate’ job. Interestingly, a criminal ‘code’ appears to exist on many of the Russian-origin carding forums, whereby no Russian card details are permitted for sale. The criminals are going after a potentially lucrative market. In just two of the most popular ‘carding’ forums 1.2 million card holder details are on sale for an average of $6 each. However, prices do vary dependent on the level of security associated with the card and cardholder. The least expensive cards are those requiring further authentication to ‘cash out’. The main obstacle to this is the PIN of the cardholder, which can be tricky and time-consuming to find out. Therefore, there exist automated services which call cardholders in an attempt to scam their details using social engineering techniques. Don’t be part of a cashing out scam. Be wary of job postings offering well-paid jobs to re-ship goods, often offering to work from home. Fraudsters go to great lengths to make these companies look legitimate. Protect your PIN. Never share your PIN over email or phone, no matter who says they are calling. Be picky about who you shop with. If shopping somewhere new, ensure the shop uses 3D Secure. Take care when booking travel and hotels. Offers that appear too good to be true often are. Act with caution if using a travel agent you have not previously used; this is a common scam for fraudsters. Check your statements carefully. Check your bank statements carefully for irregular purchases – even those that appear in a nearby location and for small amounts. Alert the bank if you suspect fraudulent activity. Learn about latest techniques. Criminals will do what they can to avoid friction. If certain banks have better anti-fraud measures, the instructors recommend avoiding them. Understand what makes carding difficult. 3D secure, for example is an additional layer of security deployed by Visa and Mastercard, is proven to be a real obstacle for criminals. Make security as important as user experience. There must always be a balance between security and user experience, but online merchants should be aware that criminals are turning to mobile apps to commit payment card fraud as it provides them with less obstacles. Monitor for mentions of cardable sites. Criminals share lists of cardable sites; if your company name crops up, it’s a good indication that you are experiencing fraud. Companies can search with the help of Google Alerts or open source web crawlers like Scrapy to look for mentions of their brands. Train your staff and your customers. Remember that the most advanced methods all involve social engineering. Don’t be part of the problem. Cashing out is only one small part of the fraud; the harvesting of credit card information is required first. Protect your customers’ credit card information by storing the information securely and ensuring payment software is patched. Detect phishing with DNS Twist. Proactively monitor for permutations on your domain name, which could help you to detect any criminal seeking to harvest information from your customers. Understand threats against your customers. Monitor the activity of banking trojans, such as Trickbot, to identify patterns in their targeting and techniques used to gain access to your customers’ computers. Monitor for AVC shops for BINs and IINs. Monitor for Bank Identification Numbers (BINs) and Issuer Identification Numbers (IINs) that are offered for sale. In many cases, it is possible to free text search and filter by BIN numbers. Monitor IRC checking channels. Monitor IRC checking channels for BINs and IINs that are indicative of a criminal testing an individuals’ card. Benchmark yourself against peers. Understand which card providers fraudsters recommend not using, and use this to understand where your company stacks up. You can learn more about Digital Shadows’ deep and dark web intelligence in this datasheet. To learn more, download the full report: Inside Online Carding Courses Designed For Cybercriminals. 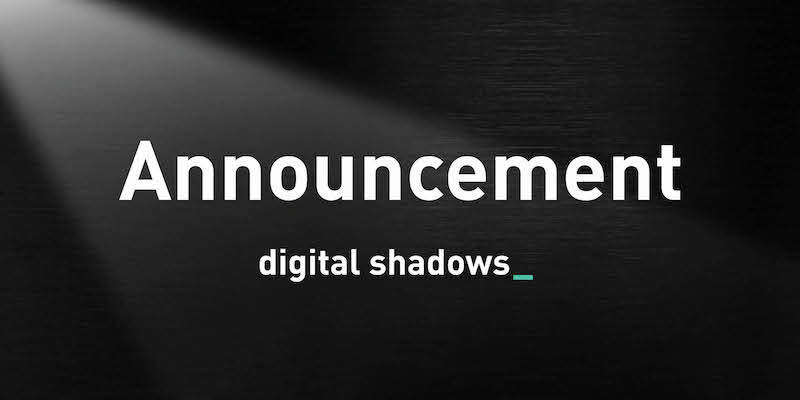 Digital Shadows monitors and manages an organization’s digital risk across the widest range of data sources within the open, deep, and dark web to protect an organization’s business, brand, and reputation. The Digital Shadows SearchLight™ service combines scalable data analytics with human intelligence analysts to manage and mitigate risks of an organization’s brand exposure, VIP exposure, cyber threat, data loss, infrastructure exposure, physical threat, and third party risk, and create an up-to-the minute view of an organization’s digital risk with tailored threat intelligence. The company is jointly headquartered in London and San Francisco. For more information, visit www.digitalshadows.com.